Another significant aspect of regional cooperation that has been a major boost for China in its progress to becoming a reckoning force in the world economy is the inclusion into the “Good Neighbors, Good Partners, Good Prospects” program in which ten countries combined to form the Central Asia Regional Economic Cooperation (CAREC). The program, supported by a further six multilateral institutions, has been instrumental in shaping the course of the regional trade through the long term vision of ensuring that member countries perceive each other as neighbor partners and prospects. The effect is that there has been an accelerated growth and subsequently a boost in the economies of the member states. Following the rapid economic expansion that has been noted following the eastern expansion of the Japan and the People’s Republic of China and the advancement of the Russian Federation towards the northern side. Other expansions that have been characteristic of the CAREC program have included the southern growth of the India and Pakistan regions in which together, there has been the creation of a trade and commerce center that has further boosted economic growth and reduced poverty substantially. The Greater Mekong Sub regions (GMS) has also enabled the expansion of the trade capacity for China following the merging of eight countries to promote commerce within the bloc. Among the countries have included Myanmar, People’s Republic of China, Thailand, Lao People’s Democratic Republic, and Viet Nam. The GMS program has been a major boost in the transport sector and energy industries that promote business operations. According to the Asian Development Bank, other boosts from the cooperation have included the human resource sectors, the telecommunications industry, tourism environment, trade, agriculture, the private sector investment, and many other aspects that have had an overall boost in the economies of the member countries. 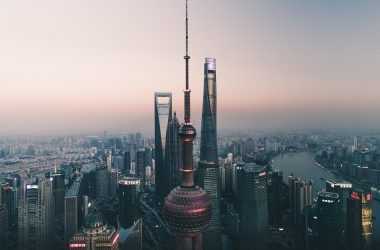 It is thus likely that following the establishment of the GMS China took advantage of the possibilities to promote the trade operations as it was boosted for the vastness of the country and the large population which further created a ready market. Furthermore, it is also noted that a large part of the success in based on the financial boost that was created following the funding by the programs that enabled China and other member countries to prosper. According to the Asian Development Bank, the funding led to the upgrading of the Phnom Penh in Cambodia that links to Ho Chi Minh City in Viet Nam highway, and it further boosted the progression of the East-West Economic Corridor. The latter progress is especially targeted as ensuring that the eventual goal is the extension from the Andaman Sea to Da Nang. Such infrastructural developments are likely to have played a major role in easing trade processes within the member counties as it led to better communications systems and transport of goods thereby boosting economic progression.